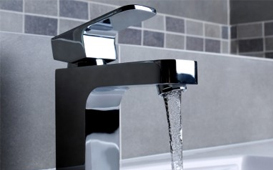 Blocked sinks and drains, burst pipes, radiators, hot water cylinders and other plumbing services available. 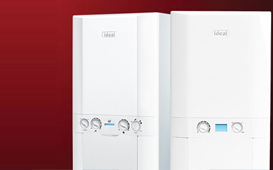 Boiler finance options at a price you can afford. Ask us for more information. New kitchen installations available, ask us for more information. Plumbing services from our reliable and trusted plumbers in Barnsley, Sheffield, Doncaster, Rotherham and Wakefield. Contact us for a free quotation. Feeling the pinch? EPHM offers new boilers, services and maintenance work. Accredited ideal installers. The kitchen is one of the most important rooms in the home and will drastically effects the appearance and feel of your home. 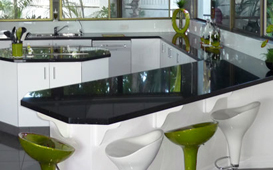 Contact us for quotations on new kitchens and modifications. Fitters of new bathrooms and wet rooms, professional and impressive designs. Contact us for more information. Enterprise Plumbing Heating & Maintenance (EPHM). Our team of experienced plumbers in Barnsley are here to solve your plumbing and heating problems. Founded and developed by managing director James Whyke in 2010. Enterprise offers an excellent all-round service for new boilers, services and maintenance jobs, central heating systems, new bathrooms, wet rooms and kitchens. Our handy DIY men are experienced in all the above areas and have a terrific history of home improvement within the Yorkshire area. 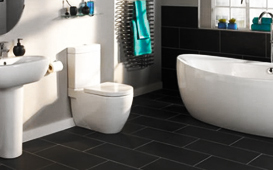 If you're looking for trusted plumbers in Barnsley or maybe just some tiles for that all important new bathroom, don't hesitate to ask us for a free quotation. Our philosophy at Enterprise is always to put our customers at the forefront of our business, therefore the customers are always the most important part of our business venture and ultimately always come first, listening to your questions and sharing the most valuable and reliable information, answers and opinions from our knowledgeable plumbing and heating experts. We offer a full comprehensive service for all types of services, our friendly and reliable plumbers in Barnsley, Sheffield, Doncaster, Rotherham and Wakefield are on hand to fix your plumbing and heating issues or build your next project. Credit is subject to application and status. Enterprise Heating works in association with TradeHelp. TradeHelp acts as a credit intermediary and only offers products from Barclays Partner Finance. TradeHelp Ltd is authorised and regulated by the Financial Conduct Authority (659069), registered in England (03712438). Call Enterprise Plumbing today on 07506738523 for a FREE quotation. Copyright 2015 - Enterprise Plumbing, Heating & Maintenance.